Hold On To Your Twitter Finger! Today was webolicious I must say. And if you haven’t heard of Dan Melton, owner of NPT Labs (Non-Profit Tech. Labs) then shame on you. He’s quite a combo platter, one part web genius, one part brilliant presenter and one part best friend to a non-profit organization. I’m bullish on how his company has set into motion a way to totally transform the non-profit world! So what’s all to Twitter about you ask? 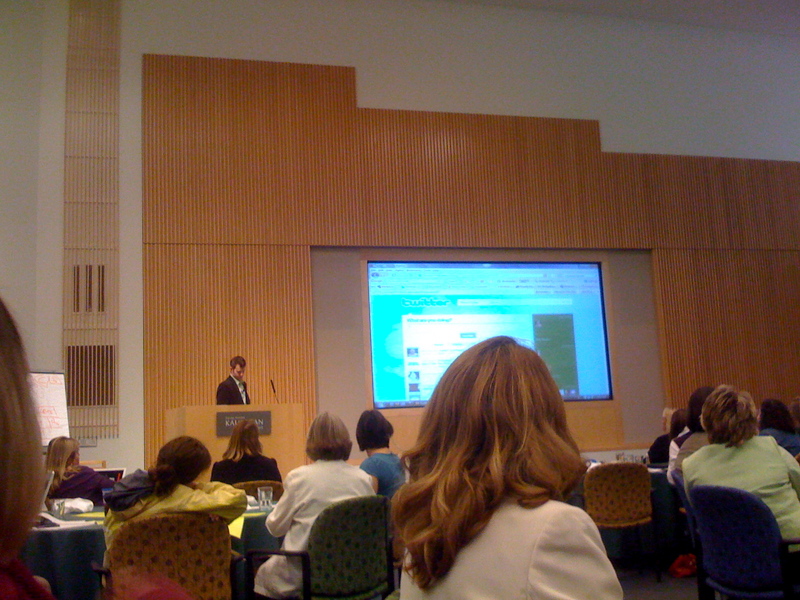 Well today at the Kaffman Foundation as part of their Council of Philanthropy’s educational seminars, I saw an amazing webotation (presentation with web spiffs) and was thrilled to see someone in the Kansas City area creating solutions for the non-profit sector. Let’s say you’re a non-profit organization and you are still trying to design a website where donors, volunteers and prospective employees can come and see what you’re all about … you’re a bit behind the times. According to Melton, that’s part of the old Web 1.0 world and it’s time to head on to Web 2.0. What’s Web 2.0 you ask? Well Melton says, “It’s totally phat.” It’s combining blogs, Twitter, RSS feeds, widgets and so much more into your total online presence. It’s social networking sites (MySpace, LinkedIn, etc. ), surveys online, anything that can tell your story and get people to visit your website, other than your website. And that’s just the start. Melton’s company is changing the way non-profits are marketing themselves and helping them find the tools to make their organization shine online. I know some of you who read my blog are part of the non-profit sector. Check out Dan Melton for your company and your sanity. His company has some great things currently in development that will help make your organization profitable and give you a stronger voice in the online community.